British Labour leader criticized over picture of him apparently making a salute linked to the Muslim Brotherhood. British Labour leader Jeremy Corbyn is in hot water again, after a picture emerged of him apparently making a salute linked to the Muslim Brotherhood organization. The photograph, published by the Daily Telegraph, shows Corbyn making the four-fingered Rabbi’ah sign, which is used by the Muslim Brotherhood as a symbol of support for the overthrow of Egyptian President Mohammed Morsi in 2013. The photo reportedly was taken during a visit by Corbyn to the Finsbury Park mosque in 2016. A spokesman for the Labour leader explained he had been “standing up for democracy” when he used the Rabbi’ah symbol, reported the British Jewish News. Counter-extremist activist and Jewish News columnist Maajid Nawaz said the Muslim Brotherhood was “to Muslims what the BNP are to the English: bigoted, identitarian and dangerous”. “It should be as taboo for a left-wing politician to be associated with that group, as it is with the BNP,” added Nawaz. The photo is the latest in a series of controversies that have engulfed Corbyn and the Labour party in recent years. Just this week, the Daily Mail published photos of Corbyn at a cemetery in Tunisia holding a wreath near the graves of some of the Palestine Liberation Organization (PLO) terrorists who were responsible for the massacre of the 11 Israeli athletes at the 1972 Munich Olympics. 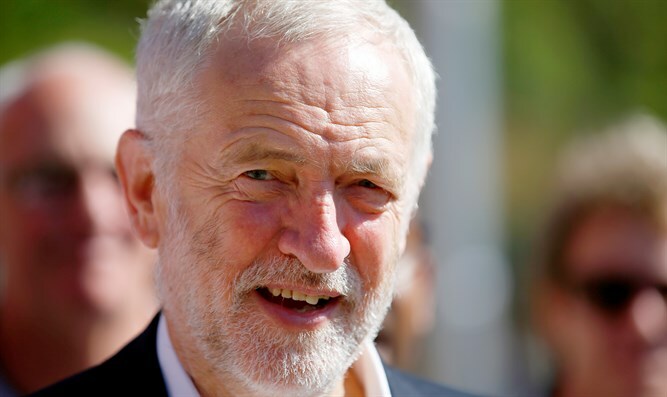 Following the criticism, Corbyn published an op-ed in The Guardian, in which he acknowledged that the party has “a real problem” when it comes to anti-Semitism, but strongly rejected the idea that it poses any threat to the British Jewish community.